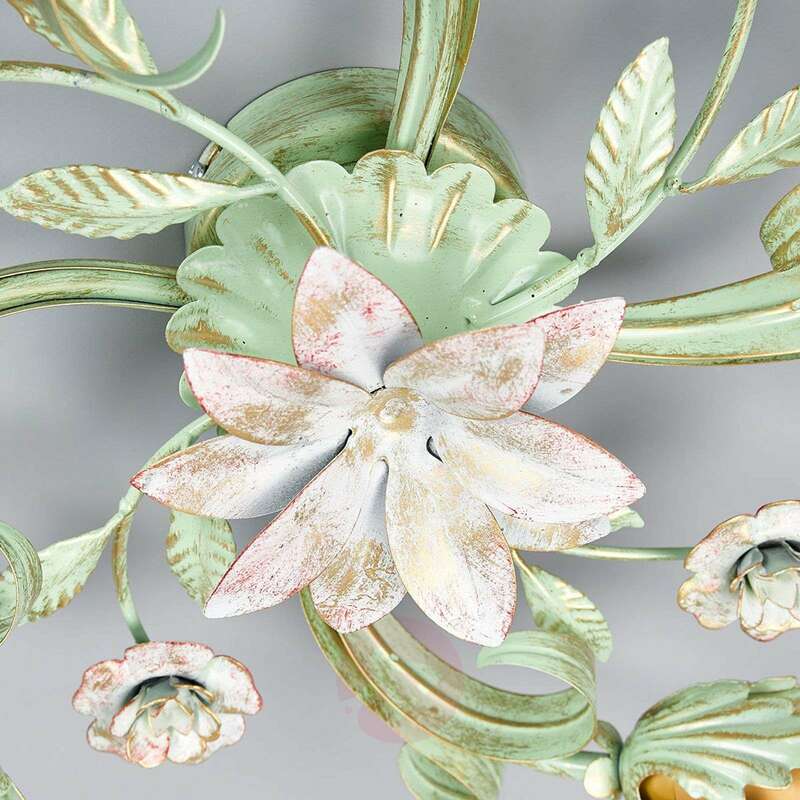 Tulipe is a ceiling light designed in the traditional Florentine style, decorated richly with leaves and flowers. 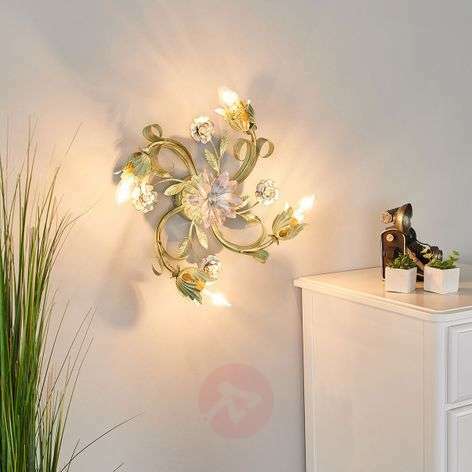 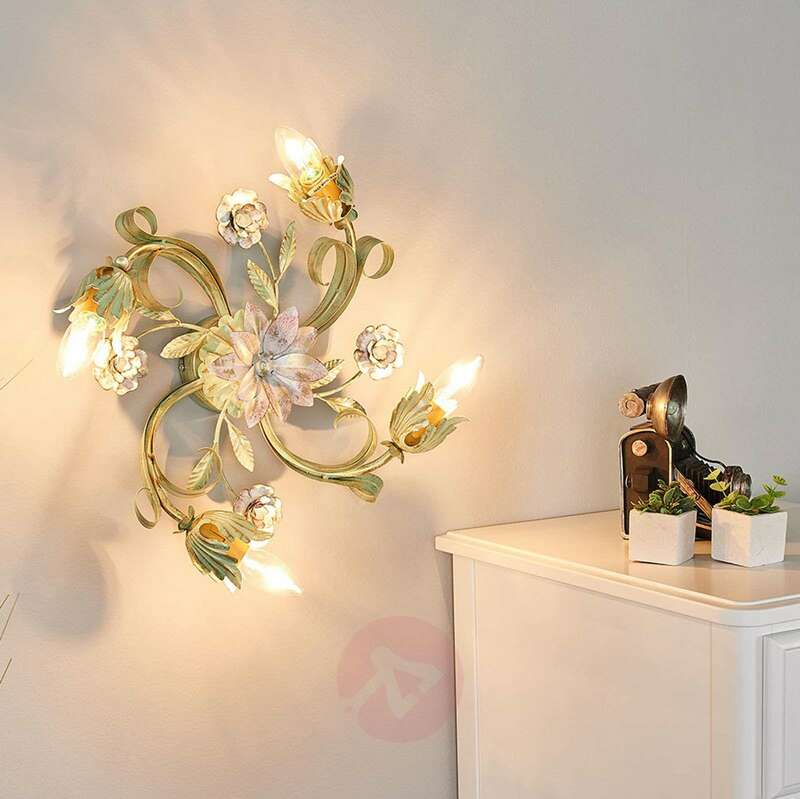 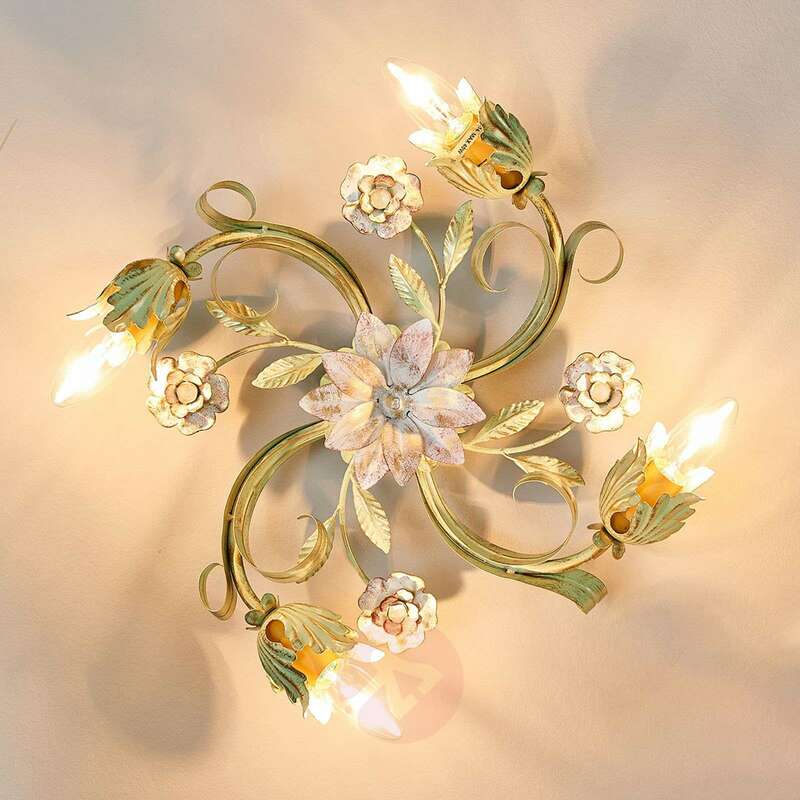 It can also be mounted as a wall light, spreading its unique, romantic and floral charm. 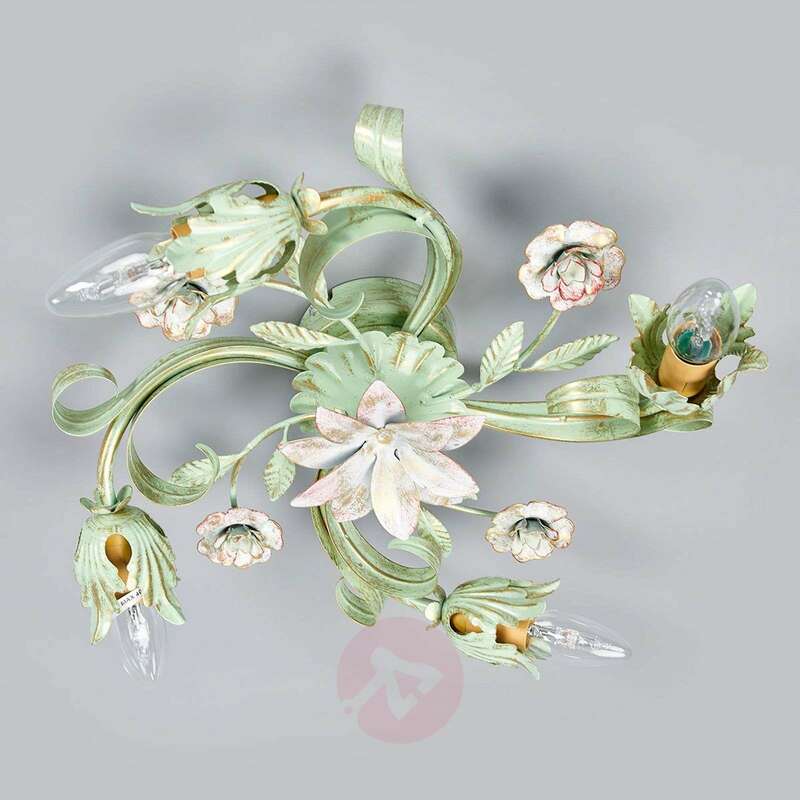 The frame and numerous leaves are coloured in a soft green, with a fine gold-finished coating. Coloured in white and rose, the four small flowers and a large flower in the centre provide the light with additional embellishment. 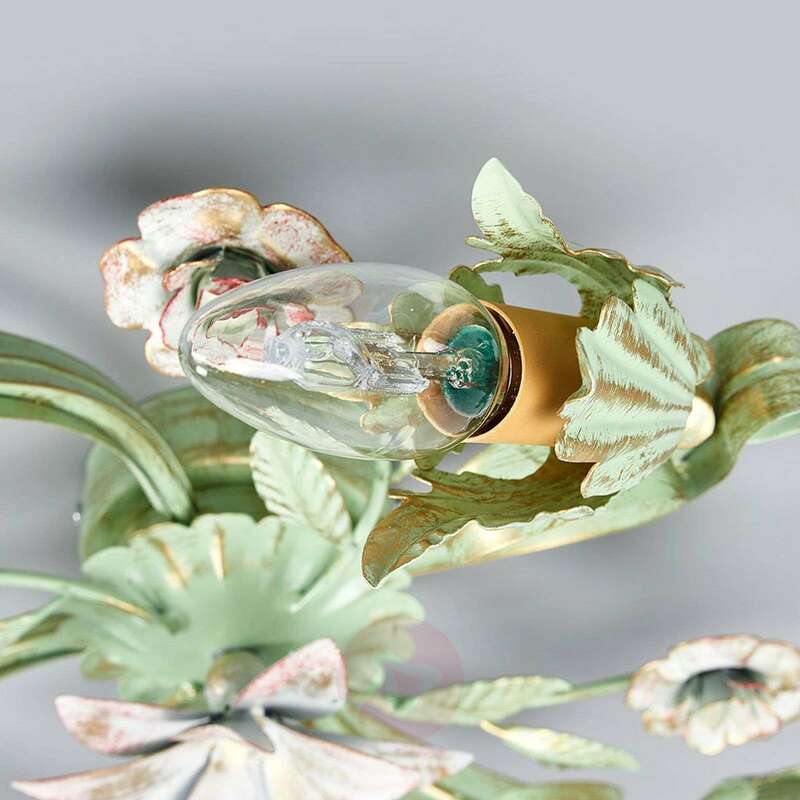 The Italian manufacturer of this light, based near to Florence, produces high-quality lighting creations with traditional hand artistry, characterised by their unique and top-class workmanship.